SBN Dr Karen Smith (4th Dahn Asst. 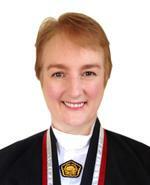 Master) is Principal Instructor of Kuk Sool Won of Sudbury. 12x British Champion, 12x European Champion, Grand-Champion and World medallist. SAFE accredited, First-aid trained, DBS checked and fully insured. Runs traditional Korean martial arts classes that are suitable for men, women and children of all ages and abilities.